In another time, consoles and PCs reigned supreme for gaming PlayStation 4 and Xbox One Are Cheaper Than PC for Gamers in 2017 PlayStation 4 and Xbox One Are Cheaper Than PC for Gamers in 2017 So you want to invest in a new gaming set-up, and you want to choose between a PC or a new console. Here's how your options compare! Read More . And while they are still the better option for most people, there’s no denying the power of those pocket computers we’re carrying around with us everywhere. Throughout the years, the technological capabilities of smartphones continues to improve. And because of this, we’re able to play games that were otherwise only available on dedicated gaming rigs. 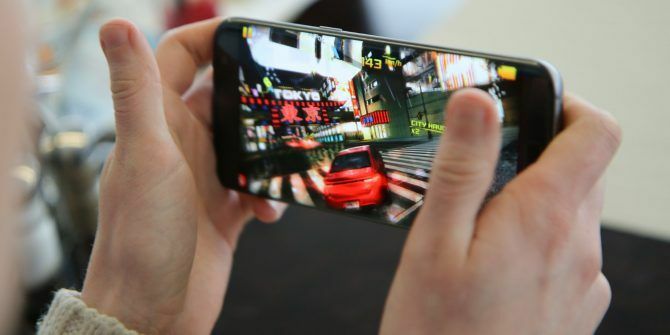 Many games have been ported over to iOS and Android smartphones by now, but what are the absolute must-haves? We’ve rounded up a list of some of the best mobile ports of console games around, so let’s dive in! The most recent port is one of the best that money can buy (and for a fraction of the price). The Witness was originally announced in 2009 and launched in 2016, so it was in development for some time. However, the end result proves that it was well worth the wait. In The Witness, players find themselves waking up on a remote island, all alone. The game’s inspired by Myst, and it involves open-world exploration, puzzle solving, and a narrative experience. Who are you? Why are you on this island? How’d you get here? Why aren’t there any signs of life other than yourself? These are questions that you’ll constantly ask while you play. The answers reveal themselves to you as you progress. The puzzles in The Witness are all interactive mazes and labyrinths found in both natural and man-made structures. Sometimes they’re obvious, but more often than not they’re hidden and require some digging around before you’re able to find them. The Witness has over 650 puzzles for players to solve, though you don’t have to do all of them to complete the game. The island’s split up into 11 sections arranged around a mountain in the center, which is the final destination. However, the player must reach and activate the gold box in each sector to move on to the next area. It’s vital to note the importance of the visuals and sound in The Witness. The game not only has a beautiful and immersive world, but it packs in a lot of details that you’ll want to pay attention to. The game also lacks a soundtrack for good reason — it forces you to listen to your surroundings. The island can be eerily quiet to emphasize that there are no other signs of life around you. The lack of sound, aside from hearing your own footsteps in various terrain, adds depth and texture to the overall product. If you like puzzle solving (we have free Mac puzzle games 13 Free Mac Puzzle Games to Test Your Solving Skills 13 Free Mac Puzzle Games to Test Your Solving Skills Are you a puzzle game fan looking to solve all kinds of brain teasers on your Mac? These free games offer hundreds of levels for you to match three, clear word tiles, and more. Read More too), exploration, and an intriguing story, then The Witness is definitely one you must check out. Itching for an intense action shooter RPG? Then The Binding of Isaac: Rebirth should satisfy your cravings with grotesque and controversial themes. The Binding of Isaac: Rebirth came out in 2014 and is a remake of the 2011 original. In this roguelike The Best Roguelikes to Play When You're on a Coffee Break The Best Roguelikes to Play When You're on a Coffee Break Some roguelikes can take a while to beat. What if your time is limited? Introducing the coffeebreak roguelike! Read More action RPG shooter, players learn about a boy named Isaac and his mother. The mother, however, becomes brainwashed and gets a message from God, demanding the life of her son in order to prove her faith. It’s dark and grim, yet oddly addictive. In the game, players take control of Isaac, who has escaped his mother by running into the creepy basement. Using his tears as bullets, Isaac must fight his way through the basement dungeon filled with hideous monsters and other abnormal critters. Eventually, he’ll have to face off against his own mother, who has turned into a deformed beast. All dungeons in The Binding of Isaac are procedurally generated No Man's Sky and the Future of Procedural Games No Man's Sky and the Future of Procedural Games If you haven't heard of No Man's Sky yet, you're missing out. This open-world adventure game is set to pioneer a new standard in procedural generation, a topic that's deeply interesting even if you don't... Read More , so they’re different on each run. This also means that enemies you encounter and items you loot vary. And since it’s a roguelike, death is permanent. The game plays like a dual-stick shooter, and features a top-down perspective. In the Rebirth version, there’s more content and gameplay modes for you to enjoy. This includes 10 other playable characters and hundreds of new power-ups and items. Gameplay modes include Challenges, where each dungeon has a modifier, such as complete darkness. No matter which mode you decide to play, the goal is to survive for as long as you can for the best score. The Binding of Isaac has made its way to pretty much every platform, and for good reason. It’s a high-quality experience that’s just downright fun to play. Whether you’ve played it before or want to jump into the fray for the first time, the mobile port is a pretty good version, since you can keep it in your pocket. If you’re a fan of Japanese RPGs (check out the best free Japanese games on the App Store The 6 Best Free Japanese iPhone Games in the App Store The 6 Best Free Japanese iPhone Games in the App Store A lot of Japanese iPhone games have now made the jump to the Western market. 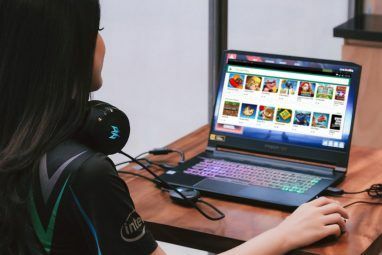 Here are several free games we recommend! Read More ), then you absolutely must play Chrono Trigger. Whether or not you’ve played the SNES original back in 1995, the mobile port is a worthy addition to anyone’s game collection. Why is Chrono Trigger a masterpiece? The original crew who made the game consisted of what many call the “Dream Team”: Hironobu Sakaguchi, the creator of the Final Fantasy series, Yuji Horii of the Dragon Quest franchise, and Akira Toriyama of Dragon Quest and Dragon Ball fame. These are all big names, so Chrono Trigger was definitely made by people who knew a thing or two about JRPGs. Chrono Trigger is your typical JRPG with familiar mechanics. Players travel through the overworld map and explore various terrain, including forests, deserts, cities, and dungeons. There’s a varied cast of characters from different eras (time travel is involved) that you’ll encounter and get to team up with. Each one brings their own unique personality and traits to the group. However, the biggest aspect about Chrono Trigger that set it apart from other JRPGs is the battle system 5 Classic RPGs With Unique Battle Systems You'll Love 5 Classic RPGs With Unique Battle Systems You'll Love Skips the usual affair and start playing these 5 RPGs with unique battle systems you'll fall in love with. Read More . Chrono Trigger shows enemies on the map as players navigate around, so there are no random encounters. And when players engage with enemies on the map, battles take place rightthere, rather than a separate battle screen. The battle system in Chrono Trigger makes use of the Active Time Battle 2.0 system (ATB is a staple of Final Fantasy IV). This means each character can only take action in the battle when their personal timer (speed stat dependent) hits zero. Actions consist of basic attacks and “Techs,” which are special skills or magic spells that usually affect an area. Each character has Techs that you can use in conjunction with a teammates to create powerful Double or even Triple Techs. This distinctive system is key to victory, especially considering that enemies can change positions during battle. At the time of its release, Chrono Trigger was revolutionary, and is still considered by many as one of the best video games of all time 6 Places To Find Out What Are The Best Video Games Ever 6 Places To Find Out What Are The Best Video Games Ever It's only natural for a fan of gaming to wonder what the best games ever made are, or at least what the experts think are the best. Read More . This was due to the multiple endings, character-developing side quests, ATB 2.0 battle system, and graphics. In 2008, Chrono Trigger came onto the Nintendo DS, along with bonus content from the enhanced PlayStation port in 1999. 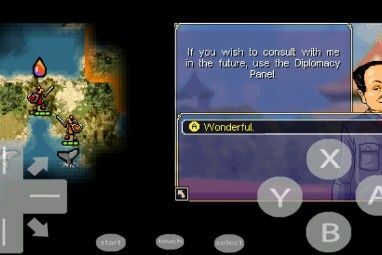 The DS version added an arena where you battle monsters, two new dungeons, and a new ending that foreshadows events that occur in Chrono Cross. When you buy the iOS or Android port, you get all of this extra content as well. Chrono Trigger is a piece of video game history that has inspired many modern JRPGs of today. And even though Chrono Trigger originally launched in 1995, it still holds up incredibly well today. Do you love JRPGs but crave something fresh and unlike anything you’ve played before? The World Ends With You fits this bill. The first part of The World Ends With You that’ll catch your eye is the stylish art and aesthetic. The game carries a design that is much more modern than most other Square Enix titles, and it’s done incredibly well. All of the characters have cool motifs, personalities, and traits, and are easily distinguishable from each other. Plus, the game takes place in a fictional version of Shibuya, Japan, so fashion plays an important role. Music also plays a big part in The World Ends With You. Since the main setting is Shibuya, the soundtrack encompasses a wide variety of music genres, including rock, hip hop, and electronica. With this combination, there’s a track that represents all moods and tones of Shibuya. The tunes in The World Ends With You are downright fantastic The 20 Best Video Game Soundtracks for Studying or Relaxing The 20 Best Video Game Soundtracks for Studying or Relaxing Video game music is engineered to promote focus with enjoyable background tracks. If you need some music for studying or relaxing, look no further. Read More , and well worth the price of the game. The story for The World Ends With You involves a boy named Neku, who wakes up and finds himself in a game of life or death: the Reaper’s Game. The Reaper’s Game lasts for seven days, and he must survive the entire time in order to find out why he’s even been chosen in the first place. The game’s split up into three chapters based on the three weeks in which Neku is a player in the Reaper’s Game. During each week, Neku encounters other players who end up being his partner for that time. New missions occur each day, and Neku and his partner must complete them or face erasure. Neku’s partners each have their own set of skills to utilize in combat. During battles with the Noise enemies, the skills that Neku has are dependent upon the player’s choice of equipped pins. There are many pins to find and collect in the game, and they let you take actions like healing, slashing enemies, firing bullets, and more. In each district of Shibuya, there are specific brands of pins and clothes that are popular and trending. If you’re wearing items associated with these brands, they boost your capabilities in battle. Conversely, when you wear brands that aren’t fashionable, your abilities suffer. It’s important to note that since The World Ends With You was originally a Nintendo DS game, it utilized two screens. However, the mobile ports only have one screen to work with, so they come with a simplified battle system. There are a lot of riddles and puzzles to solve in The World Ends With You. Sometimes districts in Shibuya get blocked off from players until they satisfy the requests of nearby Reapers. These can consists of tasks like erasing Noise symbols, having certain clothing brands equipped, or even giving them specific items. Plenty of content awaits players in The World Ends With You, and the storyline is intriguing and captivating. It’s a modern classic JRPG that is a must-play for any fans of the genre. If you’re in the mood for something more action-packed and crazy, then you can’t go wrong with Grand Theft Auto: San Andreas. Originally released in 2004 for the PlayStation 2, then Windows and Xbox in 2005, many consider San Andreas a gaming masterpiece. The Grand Theft Auto franchise has always been popular for its open-world environments, engaging stories, music, and insane gameplay. With Grand Theft Auto, players get a combination of third-person shooter with driving game elements, and these two combined lead to chaos in the streets 10 More of the Funniest Video Games Ever Made 10 More of the Funniest Video Games Ever Made Looking to laugh when you play video games? We've rounded up ten more funny titles that will keep you chuckling throughout. There's something for every sense of humor here! Read More . San Andreas follows in the footsteps of previous games with the third-person perspective and vast, open world. The game takes place in the fictional state of San Andreas, which is heavily based on California (Los Angeles and San Francisco) and Nevada (Las Vegas). Players take on the role of Carl “CJ” Johnson, who returns home after his mother’s death. Old friends and family show up in hysterics, forcing CJ to get his old gang back together for clashes with cops and other activities. Throughout the campaign, secrets behind his mother’s death reveal themselves. As you play, you’re able to move around San Andreas by foot or car. Due to the open nature of the game, players are free to explore at their leisure, pretty much doing whatever they want. While on foot, CJ can walk, run, swim, climb, and jump while using weapons or engaging in hand-to-hand combat. If you want a vehicle, you can do some grand theft (hence the name) and snag cars, bikes, buses, semis, boats, aircraft, tanks, trains, and pretty much any other vehicle you can think of. Stealing vehicles is a major element of the game, and the key to getting away from police quickly. In the single player campaign, while there’s a storyline to follow, it probably won’t be your first priority. There are a ton of side quests that you can do between main missions, and they reward character attribute points or money. These quests include many types of jobs, such as rescuing people, putting out fires, driving a taxi, and some unsavory tasks, such as burglaries. Whether you’re a fan of the Grand Theft Auto series or a newcomer, San Andreas is one of the best installments that you can play. And with the power of smartphones, this classic game can now go with you everywhere. Do you feel that the Force is strong with you? Then you’ll want to give Star Wars: Knights of the Old Republic a try. It released in 2003 on Xbox and PC, and is also held in high regard among gamers What's the Best Star Wars Mobile Game? What's the Best Star Wars Mobile Game? Are any of the Star Wars mobile games worthy of the venerated Star Wars license? I played 13 of them to find out. Here's what I thought of each one. Read More , regardless of the Star Wars branding. In Knights of the Old Republic, players get a fresh story that separates itself from the movies. Knights occurs 4,000 years before the formation of the Galactic Empire. A Dark Lord of the Sith, Darth Malak, attacks the Republic with his deadly Sith fleet. Players take on the role of a young Jedi and venture forth to stop Malak. Even though this is a Star Wars game, it plays much like other RPGs. In the beginning, players choose from three basic character classes: Soldier, Scout, and Scoundrel. Later on, after you pass the Jedi trials, you’ll get your Jedi subclass: Guardian, Sentinel, or Consular. You’re able to have up to two companions traveling with you. Each character also has skill stats, feats, and Force powers (similar to magical spells). The combat system in Knights of the Old Republic is unique and simulates real-time combat. However, it’s actually based on rounds, and all combat actions are calculated based on rules similar to Dungeons & Dragons. Each character attacks and reacts to enemies simultaneously, and it appears seamless because it’s sequential. You only get a limited number of actions per round, so you’ll have to plan your moves strategically. There’s plenty to do in Knights of the Old Republic as well, besides just engaging in epic lightsaber battles. You’ll find main storyline quests, as well as side missions that you can start by interacting with teammates and other NPCs. Players also must make many decisions during the course of the game, which affect their alignment with the light (Jedi) or dark (Sith) side of the Force. If you’ve never played Star Wars: Knights of the Old Republic before, there’s no better time than now to check it out. Be sure to also check out more games that you’ll like if you’re a Star Wars fan. Love the world of Final Fantasy but want something more strategic and tactical? Then look no further than Final Fantasy Tactics: The War of the Lions. This mobile port is the updated 2007 PlayStation Portable version of the original 1997 Final Fantasy Tactics on PlayStation. What makes Final Fantasy Tactics: The War of the Lions different from most typical Final Fantasy games? Instead of your typical JRPG, The War of the Lions is a turn-based tactical role-playing game, with battles feeling like a chess match as they happen on grids with various terrain. In The War of the Lions, players control a mercenary named Ramza. The world of Ivalice is in a late medieval era where technology is booming, but magic and the supernatural still exist. A civil war is happening between Ivalice and neighbor Ordalia, while a force of darkness has emerged. It’s up to Ramza, along with any allies he manages to round up, to save both worlds. While The War of the Lions has many original characters, longtime Final Fantasy fans will see some familiar faces in the mix. The War of the Lions includes Balthier from Final Fantasy XII, Cloud Strife from Final Fantasy VII, and even Luso Clemens from Final Fantasy Tactics A2: Grimoire of the Rift. Ramza travels around Ivalice from point-to-point on the overworld map. He’ll encounter various cities and towns, along with patches of wilderness that can hold many surprises, like random battle encounters. While in towns, Ramza can hire new recruits, send party members out on automated quests, and buy equipment and items. The story unravels through a linear series of missions. Each character on the field is a chess piece, and has limited mobility depending on their job and terrain. The player and enemy alternate turns, moving their units and performing actions during this time. During the player’s turn, units can move and then perform an action, such as attacking or using a special skill. Once all your units have taken action, then it’s the enemy’s turn, and the cycle repeats. There’s 22 jobs available in The War of the Lions. These include your classic Final Fantasy classes, like White Mage, Black Mage, and Dragoons, to advanced jobs like Summoner, Time Mage, and Orators. Starting jobs are available from the get-go, and more become unlocked as you meet level requirements for specific classes. Doing actions in battle grants each character experience and job points, with the latter used to purchase new abilities. Once a character learns a skill from a job, they can permanently access it. But don’t be careless in battle: The War of the Lions can be unforgiving with permadeath. If someone takes excessive damage and is not revived within three turns, they’re gone forever. Final Fantasy Tactics: The War of the Lions is an awesome lesser-known Final Fantasy game, and one that every gamer should check out. What Mobile Ports Are Your Favorite? It’s really amazing how gaming technology has advanced. Now we can have these amazing classics in the palm of our hand, ready to play at a moment’s notice. While there are surely more great mobile ports, we’ve handpicked our favorites here. 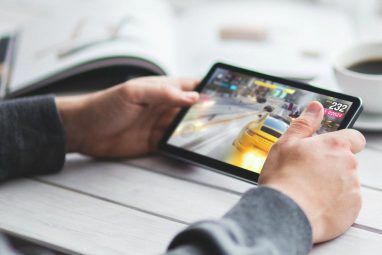 If you want even more great mobile games to check out, we recommend discovering some hidden gems 7 Mobile Gaming Hidden Gems You Must Try 7 Mobile Gaming Hidden Gems You Must Try Everyone knows Candy Crush and Monument Valley, but what about the best mobile games hiding beneath the service? Here are seven great hidden gems for your iPhone or Android guaranteed to be a blast. Read More . Do you have a favorite game that received a mobile port in recent years? Did we miss your favorite? Let us know in the comments! Explore more about: Mobile Gaming, Role-Playing Games. I think D-Touch (mobile port of Ultimate DOOM and DOOM II: Hell On Earth) and QIII4A (mobile port of Quake III Arena) are very good, but not as good as Xash3D FWGS (mobile port of Half-Life). I also liked Half-Life 2 port by NVDIA although it needs very very very powerful device with Tegra GPU.